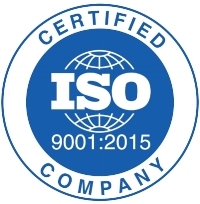 BluestoneLogic is proud to announce that we are now ISO9001:2015 with Design certified! ISO 9001:2015 with Design certification shows that we have structured our systems design and software development activities with a standard set of best practices. The four basic components of our project quality assurance programs are: (1) a tailored Quality Process based on our organizational CMMI standard process; (2) independent quality reviews targeting both internal and external work products; (3) a Quality Assurance Plan tailored to meet the requirements of the specific SOW and other customer needs; and (4) a toolset that supports our processes. We are proud to be certified for ISO9001:2015.